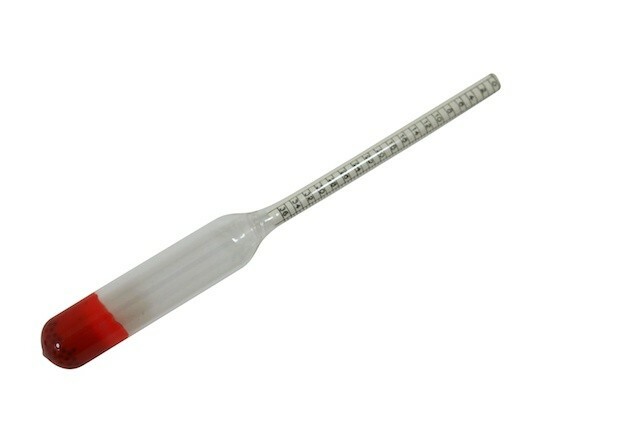 The Klosterneuburg hydrometer measures the sugar content in your mash and wine and shows the result in the Klosterneuburg sugar scale, which is generally used in Austria. 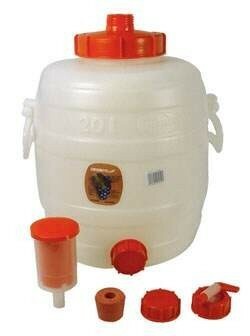 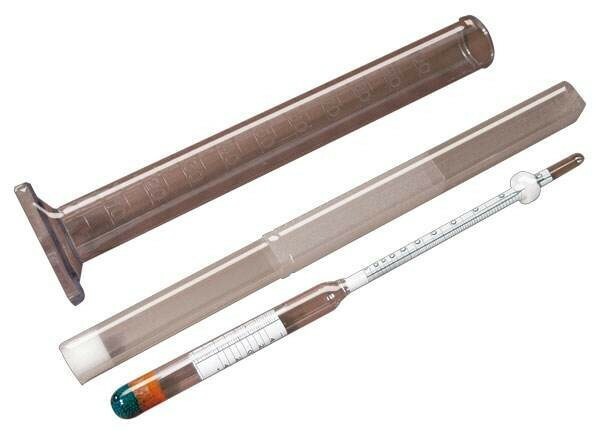 A hydrometer / Oechslemeter measures the sugar content in your must or mash even before fermentation. 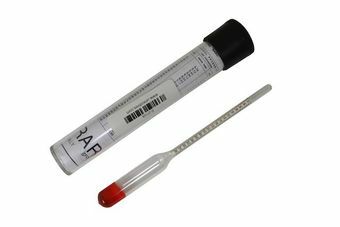 On the basis of the result, the alcohol content later obtained can be estimated and the fermentation process controlled. 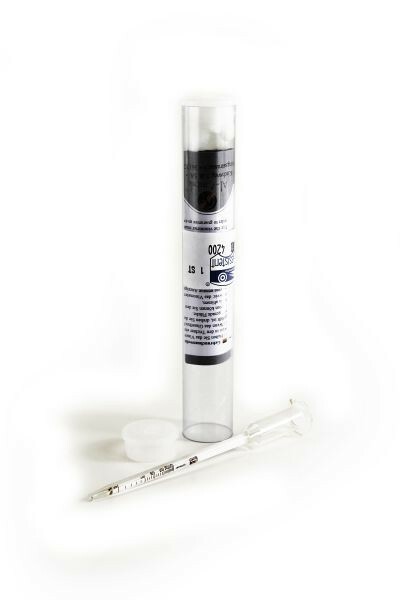 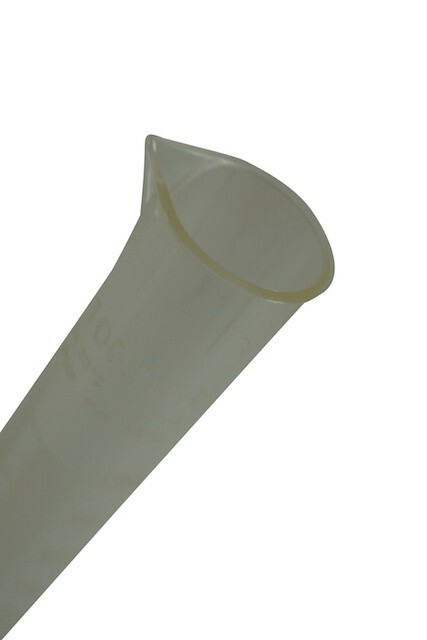 This hydrometer is supplied complete with a plastic protective cover and instructions for use. 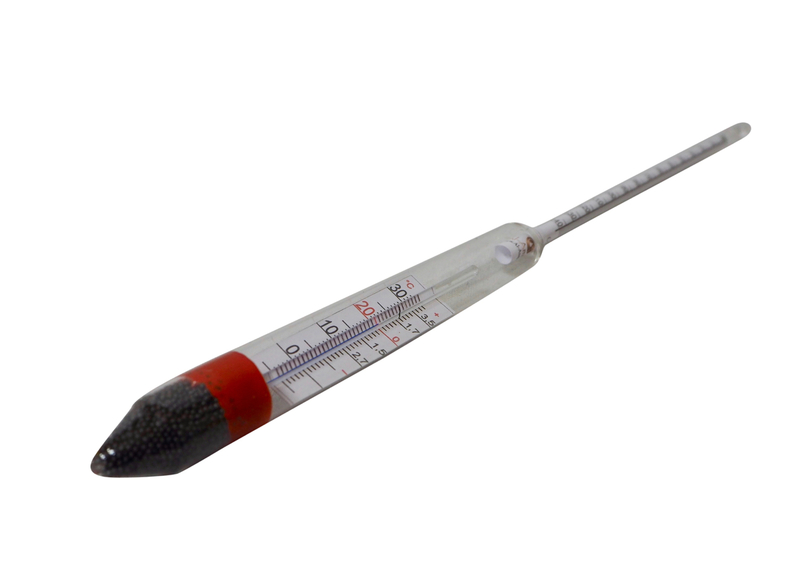 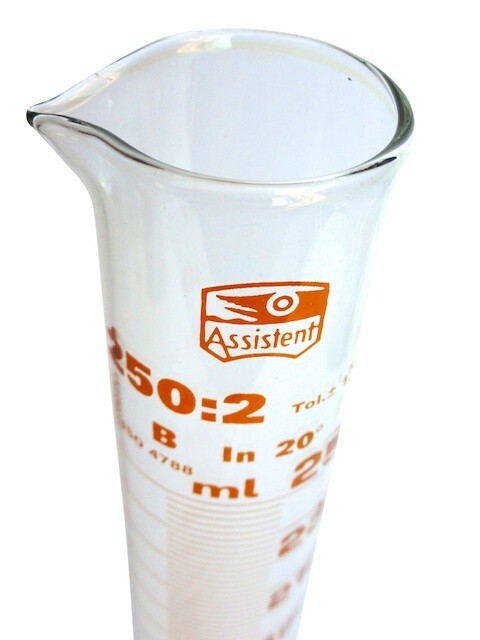 For optimal measuring result we recommend using a measuring cylinder so that the hydrometer can swim freely. 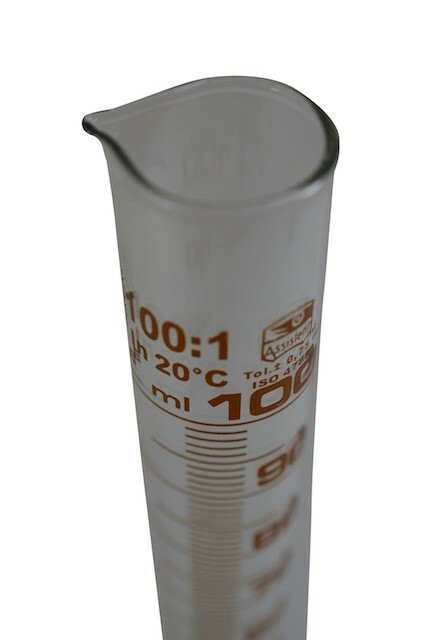 A 100 ml measuring cylinder will do for the Klosterneuburg hydrometer.